Gowardhan pooja significance, Story behind govardhan puja, how gowardhan pooja celebrated in villages of India. The next day of Deepawali/diwali is very important in India special in villages because on this day "Govardhan pooja" is celebrated with great excitement and joy. 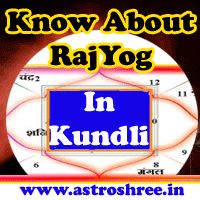 This puja is also known as Annakoot puja or annakut pooja. 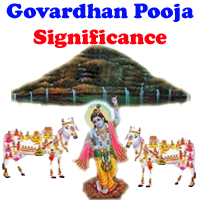 Govardhan puja is celebrated in memory of lord krishna teaching to take care of nature. Once upon a time when king of heaven i.e. INDRA became arrogant and so lord krishna has decided to teach him a lesson. Krishna asked people to worship the mountain GOWARDHAN because this mountain saves people from critical situations.People followed the instructions and started worshipping the mountain. By seeing this INDRA became angry and to punish the people started heavy rain and thunder. To save people Krishna then lift the GOWARDHAN MOUNTAIN in his little finger and save people. Indra failed to harm any one and defeated by krishna and so his arrogance also lost. From that day people celebrate this day with joy and devotion. This is not an imagination , any one can visit the place Govardhan which is near to mathura and vrindavan and see the GOWARDHAN MOUNTAIN. Devotees to take round of this mountain and chant the mantra of radha and krishna. Devotees also perform pooja in different places during parikrama and seek blessings. In villages people decorate there cattles and worship them. Many games are also played with them for entertainment. People also feed them good things with grass. Cattles are the real wealth for them so on the auspicious day of Gowardhan puja, they worship them and show there love for them. India is rich in tradition and gowardhan puja is also one of the important tradition of India. Let's enjoy gowardhan pooja and if you get time , once visit the GOWARDHAN and perform the PARIKRAMA of gowardhan mountain and feel the blessings of radha and krishna there.